Free and open source software is the catalyst for Penn Manor School District’s award-winning student learning programs. For one, they save the school district more than a million dollars on its technology budget. Besides fiscal savings are the open leadership principles that foster innovation among teachers and students, help to better engage the community, and create a more vibrant and inclusive learning community. Read more from the opensource.com article, These 3 practices revolutionized Penn Manor’s school culture. The Penn Manor IT Team relied on a self-hosted IRC messaging server for many years. IRC is great for a technical crowd, but the old-school feel and cryptic conventions never resonated with students and teachers. We’ve experimented with IRC alternatives, but an affordable, school-friendly platform has been elusive. Slack was a promising option–and a few schools have tried it for professional development. However, Slack is cost prohibitive for thousands of district staff and students. Plus, we value free and open source software running on district servers, and try to avoid expensive cloud services storing student data in someone else’s walled garden. At the start of 2016, we began testing Mattermost, a terrific open source, Slack-like messaging platform. Mattermost runs on Penn Manor servers, and is configured for private district staff and student use only. Instant messaging, group chat, and notifications are all centralized in one searchable web system. Features like direct messaging, emoji characters, drag-and-drop pictures, and shared files make it easy for students to start using Mattermost without first passing a calculus exam. Like Slack, Mattermost is organized around self-contained teams, and each team can have separate topic discussion channels. The Mattermost project was named because the developers wanted to emphasize the importance of communication. The program shifts communication from email to a more fluid–and open–discussion stream. And when communication is transparent, collaboration naturally happens in the open. Even better, Mattermost serves as a communication hub for our High School Student Technology Help Desk. With Mattermost, students can collaborate and communicate when they are not together in the same physical space, or together during a given class block. Based on a successful Mattermost trial, the Penn Manor IT Team has plans to expand the system to additional buildings during the 2016-2017 school year. You can read more about our transition from IRC to Mattermost on opensource.com. Penn Manor School District’s open source 1:1 student laptop learning program has earned a District of Distinction award from District Administration Magazine. Every student in grades 7 through 12 receives a laptop computer running the Linux operating system, as well as dozens of open source learning programs. 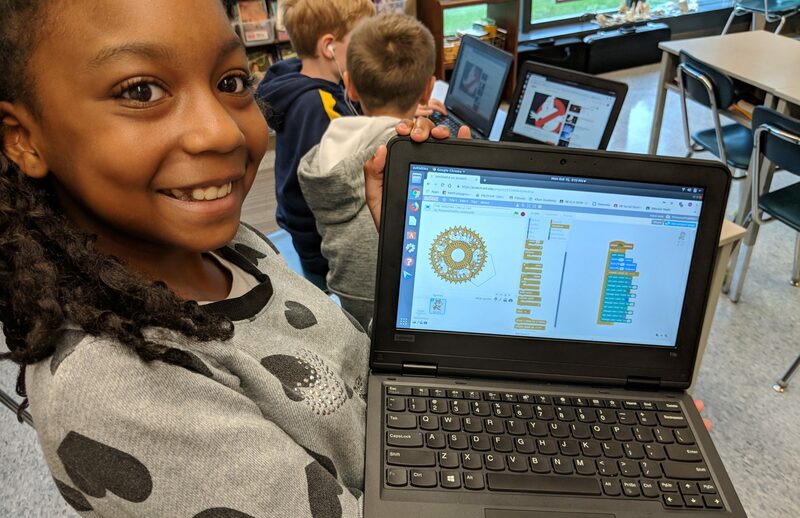 With 2,500 1:1 laptops in grades 7 through 12, and 1,500 Linux laptops in its elementary schools, Penn Manor supports the largest open source learning program in Pennsylvania. Free and open source software has saved Penn Manor more than $500,000 in technology acquisition costs over the past two years. However, our program is about much more than technology cost savings–we empower students with root access on the school issued laptops, and encourage exploration, experimentation, and tinkering. Read about our guiding principles. Key to the program’s success is a unique student technology apprenticeship program, an honors-level, independent study course where student technologists work alongside the district IT Team on repairs, software setup and instructional tutorials. The Penn Manor Student Technology Team has been nationally recognized, and was recently featured in the Red Hat Films documentary, The Power of Open in Education.